Riyadh, Kingdom of Saudi Arabia, 2017-Sep-14 — /Travel PR News/ — Be at the centre of celebrations for the Kingdom’s 87th National Day. 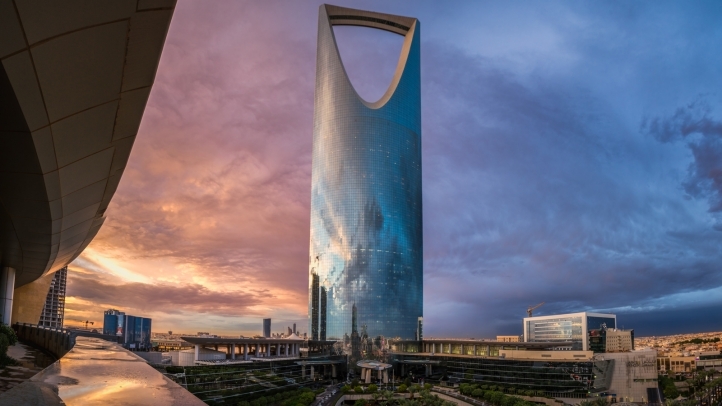 Four Seasons Hotel Riyadh presents a variety of special offers for its guests to enjoy the festive atmosphere and various events including the extraordinary fireworks and laser show at the iconic Kingdom Tower. “This year our celebrations are first of its kind and the Hotel is pleased to offer a diverse selection of rooms and food and beverage offers, making the Hotel the ultimate venue in Riyadh for a memorable celebration with friends and family,” says Naif Al Tamimi, Executive Assistant Manager in Charge of Human Resources and Administration. For this occasion enjoy a luxurious stay in the only location in the city with a full view of the firework show. Stay in a Superior Room starting from SAR 1,320 including buffet breakfast, premium internet access, festive in-room amenity, free valet parking, and 20 percent savings for dinner at Elements restaurant. The Grill restaurant will also offer a unique barbecue dinner on September 23, where the restaurant decor will reflect a different Saudi flavour and guests can dine in the restaurant’s outdoor seating to enjoy a full view of the fireworks displays. As part of the Hotel’s ongoing efforts to promote cultural culinary experiences of rich Saudi cuisine, it will also be offering live cooking lessons with Saudi Chef Ali Al Yousuf from September 17 to 21. Four Seasons Hotel Riyadh looks forward to welcoming guests with authentic Saudi hospitality and a unique ambience of the celebration complemented by authentic traditional Saudi décor, live music shows, and various Saudi fast food stalls, which will certainly ignite a memorable national experience. This entry was posted in Entertainment, Festivals and Events, Hospitality, Hotels, Luxury, Travel and tagged Four Seasons Hotel Riyadh, Naif Al Tamimi, Rolf Lippuner, Saudi National Day. Bookmark the permalink.